The average schoolteacher in Tacoma, Washington, makes $49,900. So there is quite a Christmas bonus in it for Jon Kitna to be taking a break from his duties at Lincoln High School to be spending the week serving as a Dallas Cowboys backup quarterback. But the $55,294 one-week game check Kitna will receive for a brief emergence from his three-year retirement from the NFL? He’s donating the windfall to Lincoln High School. 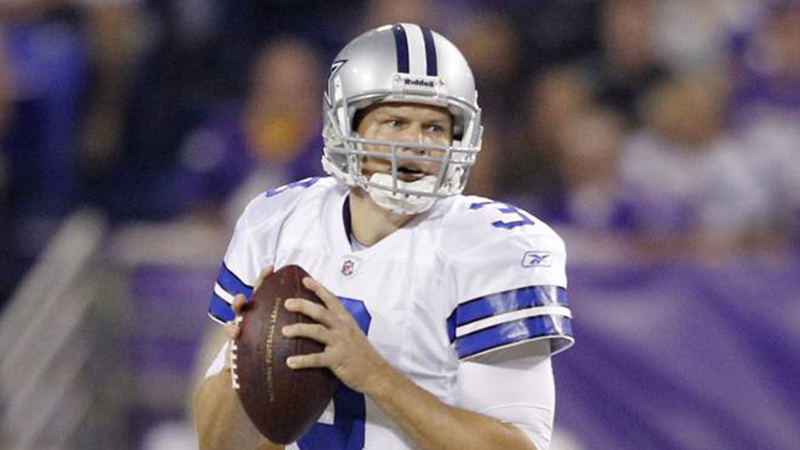 Kitna, 41, is needed by the Cowboys because Tony Romo might be out for Sunday’s showdown against the Eagles and Kyle Orton needs a backup. Since retiring from the Cowboys, Kitna, who has 15 seasons and four teams on his NFL resume, has taught math and coached football in his hometown. He’s previously made a $150,000 donation to the school to build a weight room. Kitna, at Valley Ranch for a Christmas Day practice, said he heard about Romo’s back problem and texted Cowboys coach Jason Garrett to let him know of his interest. "I told Jason if he wants me or somebody to come in and call a play and be able to pull a play off if a bad situation happened, I would be willing to do that," Kitna said. The Cowboys gave tryouts to four other QB candidates but chose Kitna, trusting his word without the benefit of a workout. Maybe the Cowboys will end up benefiting. But for certain, Lincoln High School will.